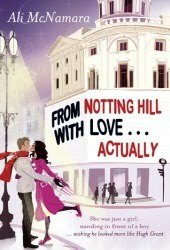 So, by now, you should have already read my review of From Notting Hill With Love ... Actually by Ali McNamara and Ali's wonderful guest post regarding expectations of love and romance. Now, is your chance to win a copy of the book. 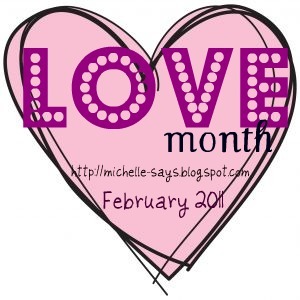 Just fill out the form below and make sure to leave a comment for Ali on her guest post. Because of the amount of giveaways I'll be hosting for Love month, I'm afraid this one will be limited to UK only. Sorry! Scarlett O'Brien is in love . . . with the movies. Utterly hooked on Hugh Grant, crazy about Richard Curtis, dying with lust for Johnny Depp, Scarlett spends her days with her head in the clouds and her nights with her hand in a huge tub of popcorn. Which is not exactly what her sensible, DIY-obsessed fiancé David has in mind for their future. So when Scarlett has the chance to house-sit an impossibly grand mansion in Notting Hill ? the setting of one of her all-time favourite movies ? she jumps at the chance to live out her film fantasies one last time. It's just a shame that her new neighbour Sean is so irritating ? and so irritatingly handsome, too. As a chaotic comedy of her very own erupts around Scarlett, she begins to realise there's more to life than seating plans and putting up shelves. What sort of happy ending does she really want? Will it be a case of Runaway Bride or Happily Ever After? The big white wedding looms, and Scarlett is running out of time to decide.